Austin is a great city. It’s young, bustling, brimming with emerging culture and the beating heart of Texas. Everywhere you go and we mean everywhere, there’s live music and wonderful food. Everything from donuts served from an Airstream, to parking lot BBQs and fine dining. All mixed in with a music scene that’s forever generating talent to add to its roster of great stars like Janis Joplin and Willie Nelson. People come from far and wide to see the sights of Austin. It’s not just people too that have fallen in love with the city. It’s also home to the world’s largest colony of urban bats. Nearly one and a half million that all emerge from under a bridge in the space of 15 minutes at dusk. The latest addition to this bubbling mix of exciting bands, brands and boutiques is The LINE. Whilst not a unique name in the hotel world, (there are two others throughout the USA), the LINE brand takes on the characteristics of its host neighbourhood. 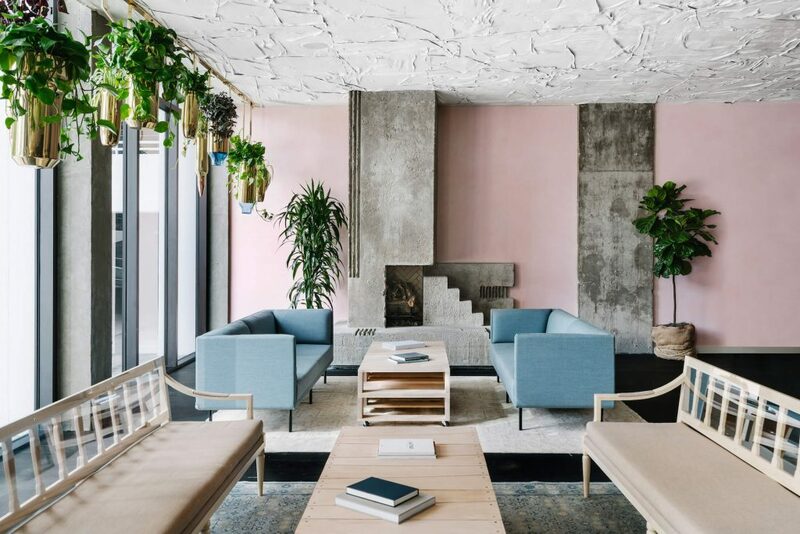 Utilising the area’s individuality, the architecture, design, culture and culinary scene of the hotel pulls together an experience that’s not to be missed. Here at The LINE, the Austin experience begins when you check in. 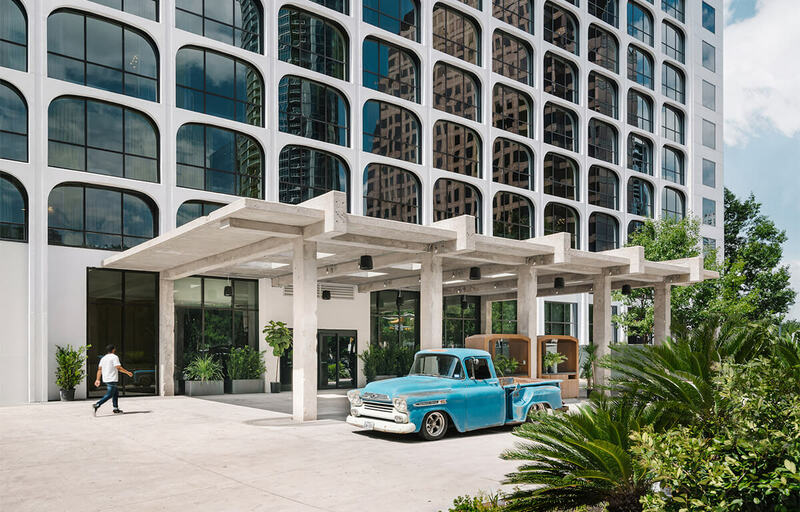 Originally opened as The Crest hotel in 1965, the mid-century architecture has long been on the streetscape and has witnessed many changes of the city’s history. The renovation of the property, which used to be home to a jazz club, brings together 428 guest rooms and 108 suites designed by Sean Knibb. 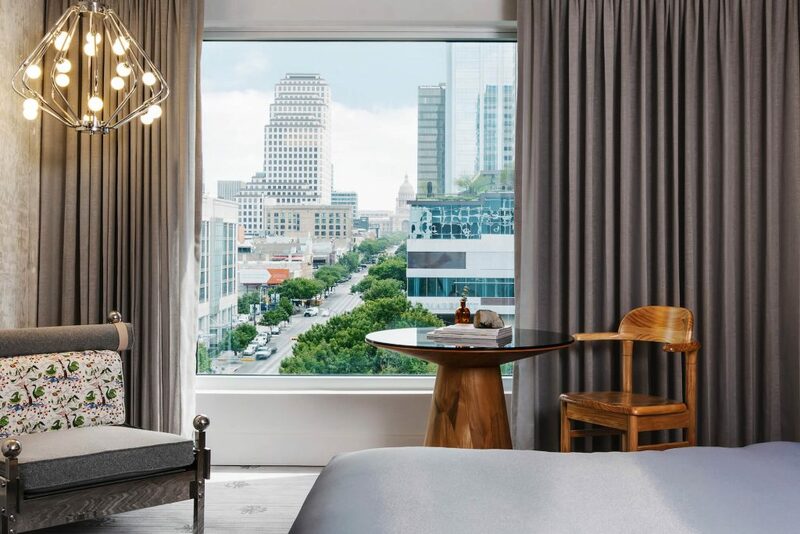 From the hotel’s lobby featuring accents of travertine and copper, to the room’s textures that accentuate the furniture and the views of the city beyond. Overlooking Town Lake the hotel room’s large glass windows create stunning vistas across the city. Each morning you’ll be planning your day out before you leave your room. 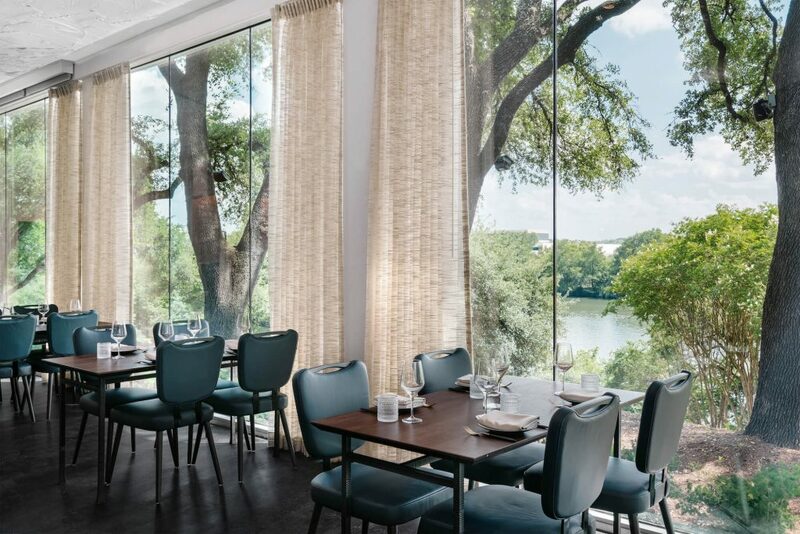 With easy access to the great city spots such as Red River music district and 2nd Street shopping you’ll be in prime location to start exploring Austin. The city has some great shops to visit too. Allen’s Boots being one of our absolute favourites! This is the home of Cowboy boots. It would be rude not to go home with a pair or two. After a day shopping and exploring local attractions such as the Hamilton pools complex, then head back to the LINE for dinner. 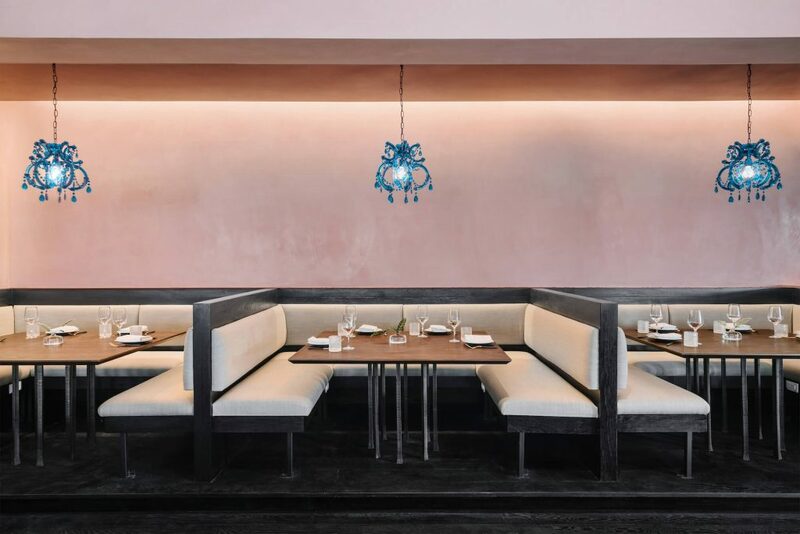 Kristen Kish heads up Arlo Grey where European influences from France and Italy mix with the wonderful ingredients found locally in Texas. Wagyu Sirloin or Prawn and Grits certainly light up the enticing menu. When all is done you can head to P6 rooftop bar for a cocktail. Topping off what will surely have been a warm Texas welcome to the city of Austin. It will leave you eager for day two.